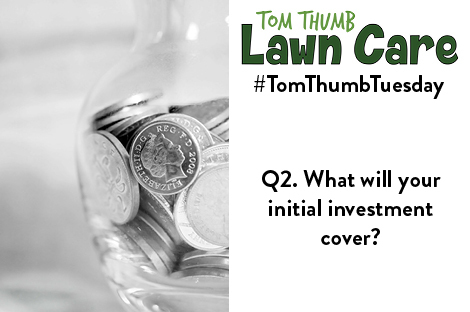 Our first ever Twitter chat took place on Tuesday 7th July, 7pm – 8pm, and we used the hour to discuss the ever-pertinent point of money! Managing Director Howard Abramson took to our franchising Twitter account (@TTFranchising) to talk about a subject that anyone who is thinking about buying a franchise would want to look into in more detail – money! 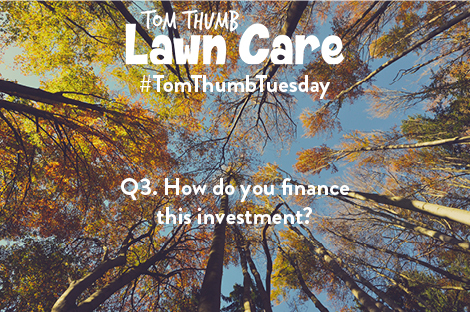 More specifically, Howard discussed the cost of starting a Tom Thumb Lawn Care Franchise, what the initial investment covers, and how to finance this yourself. If you didn’t manage to join us this time, fear not as we’ve documented all the notes covered below! Welcome to the first ever #TomThumbTuesday! 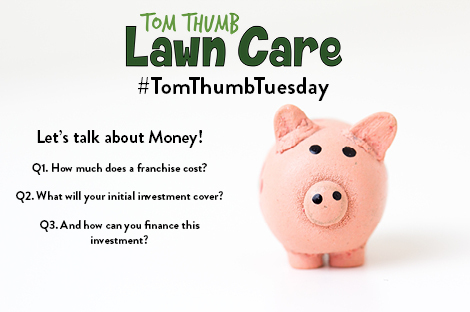 An hour for all of those interested in running a lawncare franchise! First up, a quick introduction! This month’s #TomThumbTuesday is being hosted by me Howard Abramson, one of the directors & the franchisor! If you get in touch with us to chat about purchasing a franchise, I will be your contact. We already cover 9 territories nationwide & we’re on a drive to recruit hard-working & ambitious franchisees. Maybe you’re the franchisee we’re looking for! So, first up, how much does a franchise cost? 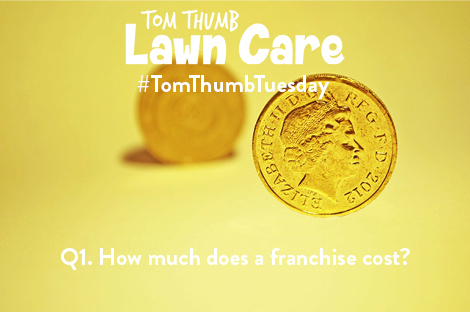 A Tom Thumb Lawn Care virgin (no customers) franchise will cost you £16,800. An established franchise would cost you more, depending on the number of customers it was already treating. Depending on your personal circumstances we would recommend you have a total of £31,000 as initial capital. That’s a lot less than £50,400 which is the average amount needed to fully open a franchise (incl franchise fees). What will your initial investment cover? We offer ‘a turn-key package’. Everything you need is included. Get in the van, turn the key & start working! …and access to our TOMS system which makes scheduling your appointments & keeping track of customers & payments a breeze. We’ve also developed an automated scheduling system which creates the most efficient schedule possible every day. We’ll give you a tablet so you can access TOMS wherever you are, be it in your van or on holiday in Barbados! The price of your franchise covers an initial promotional marketing campaign, targeting potential customers in your area. We’ll include a branded uniform including PPE (personal protective equipment) such as spray suits and masks. We’ll provide an initial 2 week training course in which we’ll teach you everything we know about lawncare & business. Basically, everything you need to service hundreds of lawns and really get started. Please visit our website for the full list. …initial wages, van lease payments and other monthly payments such as insurance etc. How do you finance this investment? Many people turn to franchising when they have recently received a large sum of money which they want to invest. This can include inheritance, redundancy pay-outs and profits from selling a previous business. If none of these apply to you, fear not, banks are sometimes much happier to lend to franchisees than to new businesses. Of course if you want to go down this route we would be more than happy to help you prepare a business plan. Remember if you’re interested in buying any franchise, ours or others, make sure to choose one that is @BFA_UK approved. Also, take a look at the @BFA_UK website for lots of useful information. Thanks for joining us tonight. We really enjoyed ourselves and look forward to the next one. 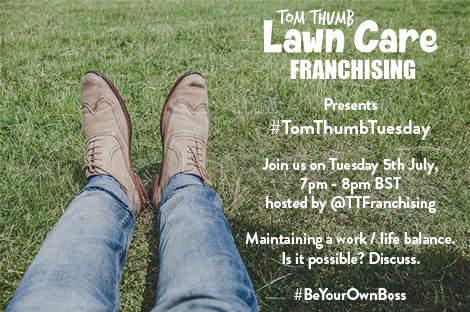 Next #TomThumbTuesday is on 5 Jul & we’ll chat about maintaining the illusive work / life balance. See you there! Want to join us for the next #TomThumbTuesday? Simply follow us on our Twitter account, and join us on Tuesday 5th July, 7pm – 8pm. We look forward to chatting with you then! Stay-up-to-date with all our latest news and opportunities! Sign up to our email newsletter today!